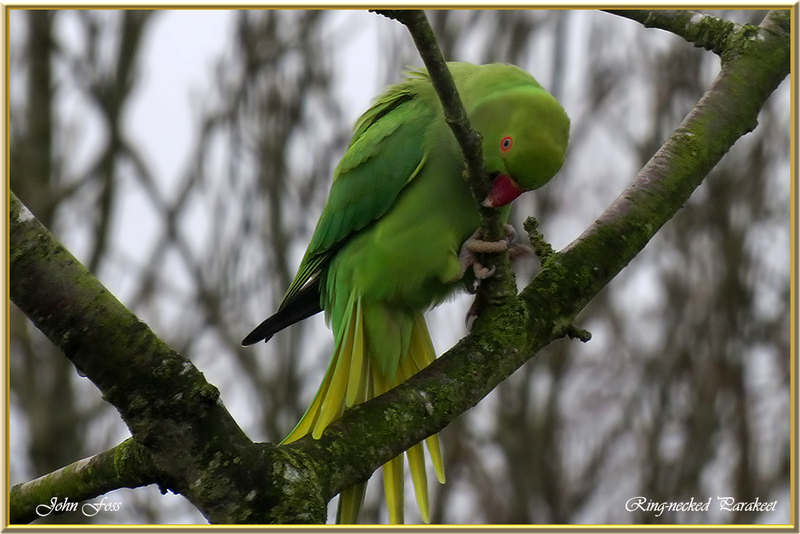 Ring-necked Parakeet - The UK's only naturalised parrot and the most northerly breeding parrot in the world. 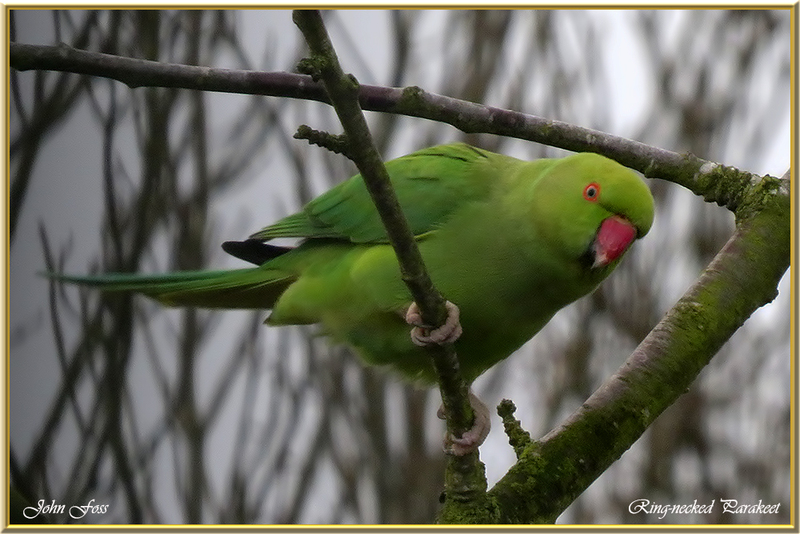 They are originally from Africa and southern Asia and were kept as pets in Britain. They escaped into the wild, however, and have become naturalised in the south-east especially, aided by warmer winters. This one however was photographed in Allestree Derbyshire. It is a female which lacks the ring around the neck.